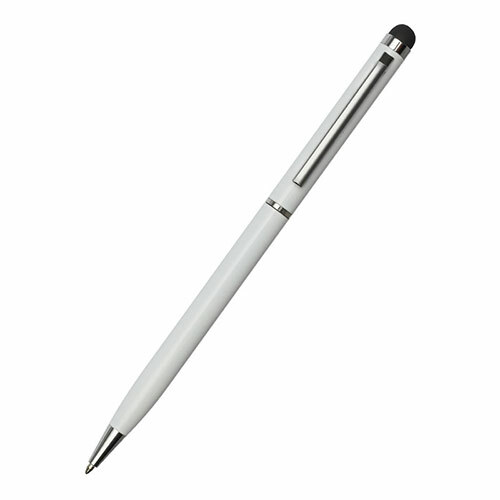 Affordable ballpoint pens, made in sturdy metal with an attractive glacier white finish and silver colour fittings, supplied with a black ink cartridge. 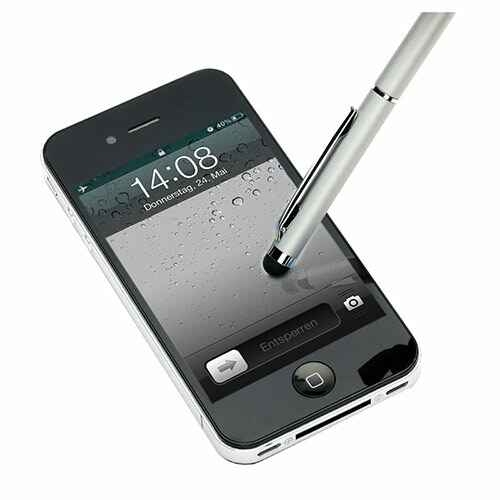 These pens include a rubber stylus at the end for use on smartphones and tablets. Ideal branded as corporate pens or promotional merchandise, these pens are offered here with free engraving.